While I can’t help you with demanding bosses or taxes, when it comes to deadlines, I have the right tool for you. A tracker that highlights all overdue items so that you know where to focus your attention. 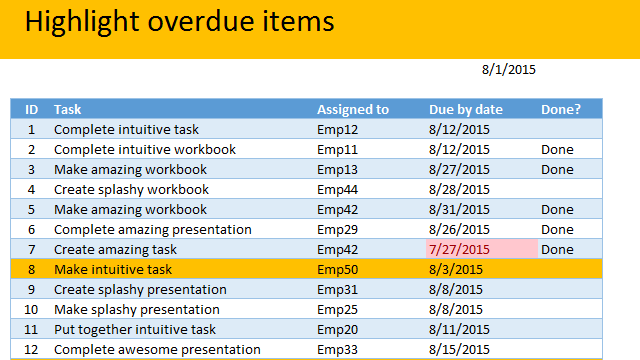 Let’s learn how to use awesome powers of Excel to find-out which items are due. You can apply these concepts to nail down over due invoices, pending project tasks or scheduling workforce. In the earlier episode, we talked about AVERAGE and why it should be avoided. In this session, learn about 8 power analysis techniques that will lift your work above averages. In the 9th session of Chandoo.org podcast, lets raise above AVERAGEs. 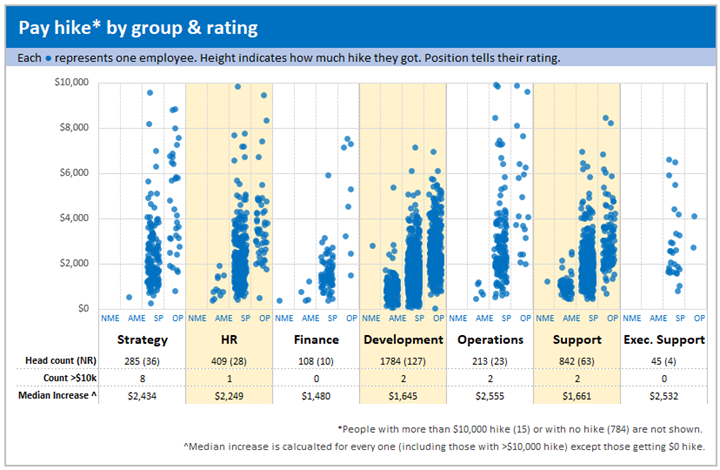 AVERAGEs are a very popular and universal way to summarize data. But do you know they are mean? 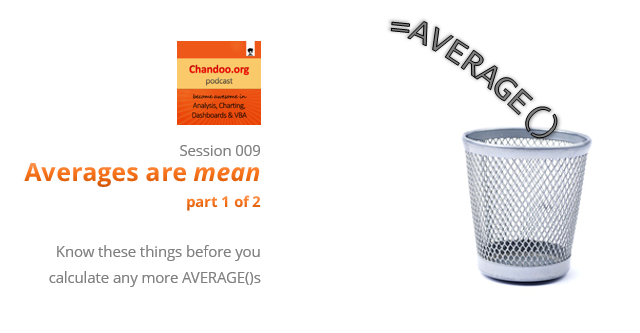 Mean as in, AVERAGEs do not reveal much about your data or business. In episode 9 of Chandoo.org podcast, we tackle this problem and present solutions. Congratulations to you if your job does not involve dead lines. For the rest of us, deadlines are the sole motivation for working (barring free internet & the coffee machine in 2nd floor, of course). So today, lets talk about a very familiar problem. 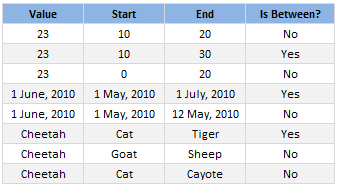 How to highlight due dates in Excel? The item can be an invoice, a to do activity, a project or anything. 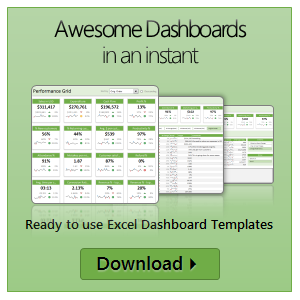 So how would you do it using Excel? Checking if a value falls between 2 other values is fairly common when you are working with data. In today’s quick tip, we are going to learn how to check for such between conditions in excel. You will be learning how to check if a value, date or text falls between 2 other values, dates or texts (when arranged in dictionary order) as shown in the picture aside.